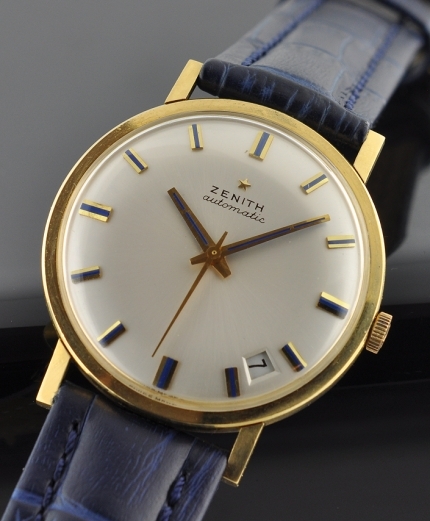 This vintage 1960’s ZENITH is a fantastic looking solid 18k. gold watch having a very cool original dial with blue inset on the markers and hands. The heavy solid gold case measures 34mm. across and 10mm. thick including the crystal and 38.5mm. lug-to-lug. This original dial really looks wonderful! The very fine automatic winding caliber 2542PC 25 jewel ZENITH movement was just cleaned by our watchmaker-accurate. This movement is highly desired amongst collectors. Notice the offset date, adding interest to this clean-lined dial. The original Zenith winding crown is present. 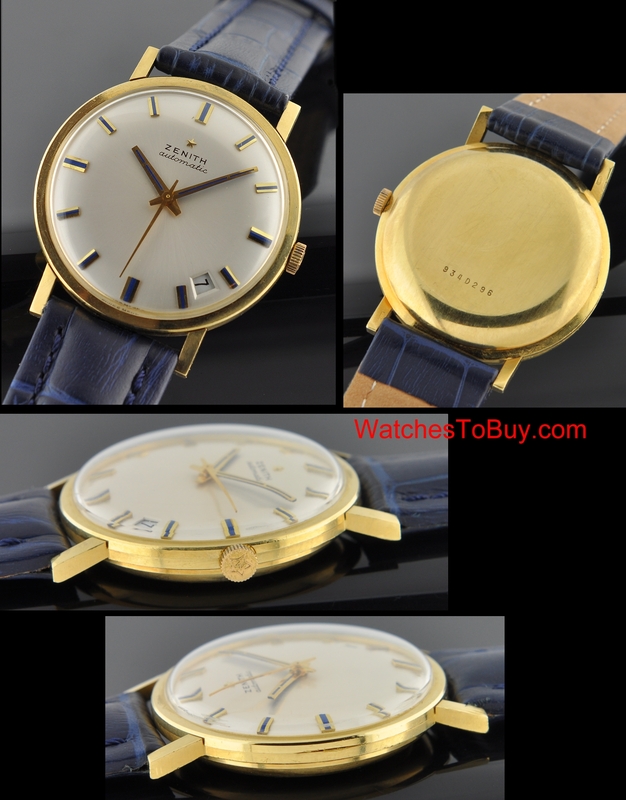 This is a fine and heavy solid gold vintage ZENITH watch – and VERY collectable.